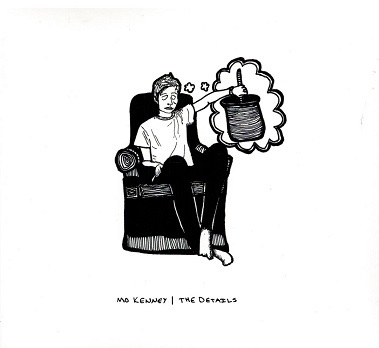 Mo Kenney, pop singer/songwriter from Dartmouth, Nova Scotia released her 3rd album in 2017 entitled, The Details and was a winner at MusicNS 2018 winning Pop Recording and Solo Artist from The Details. She just received a ECMA 2019 nomination for Fans Choice Entertainer of the Year. She won many nominations for her 2 previous albums from MusicNS and ECMA. All songs were written by Mo except the song, Unglued, which was written by Mo and Joel Plaskett. The CD ws produced by Mo and Joel Plaskett and recorded and mixed at the New Scotland Yard Studio in Dartmouth. Joel plays drums and bass on the CD, as well Dave Marsh plays drums on the song, On The Roof. Kenny pathologically mines the most shadowy corner of herself in order to surface with something unflinching honest, but The Details found her exploring uncharted territory. It traces her own strange, devastating and ultimately hopeful trip through the trials and tribulations of booze-fuelled breakdowns, clouds of depression and disintegrating relationships. Mo does a great job singing all 14 songs on the CD, says Atlantic Seabreeze and gives the CD good ratings on its rating list. For more information regarding Mo and her music, refer to her website, address posted above.